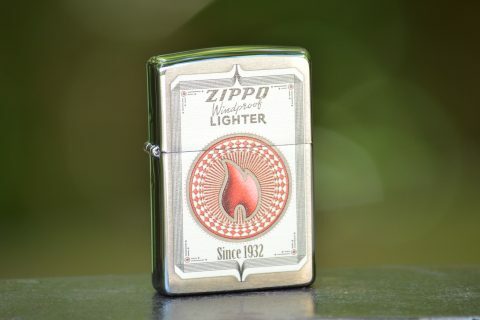 The Zippo timeline begins in the early 1930s, at the Bradford Country Club in Bradford, Pennsylvania. George Blaisdell watched a friend struggle awkwardly to use a cumbersome, Austrian-made lighter. George decided to reconstruct the Austrian lighter and fabricated a small rectangular case and attached a lid with a hinge. He preserved the chimney design which protected the flame. The result was an attractive lighter that was easily operated with one hand. 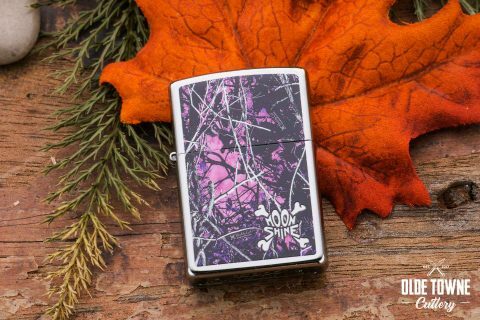 The name “Zippo” was settled upon because he felt had a “modern” sound. 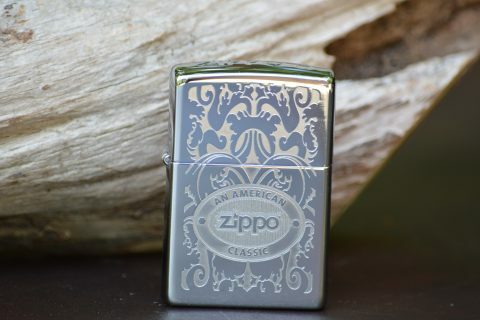 In 1993 Zippo acquired W.R. Case and Sons Cutlery Company and the two brands were a natural fit with their tradition of quality and American craftsmanship. 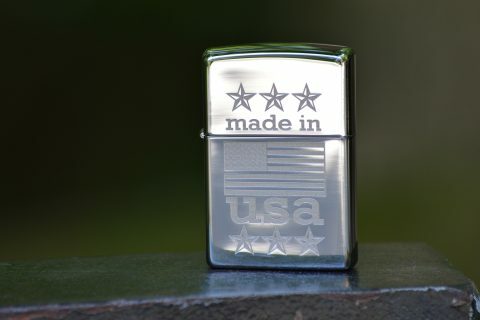 The lighter is ingrained in American culture and is a global icon of durability and reliability, and is one of America’s greatest and most recognizable icons. 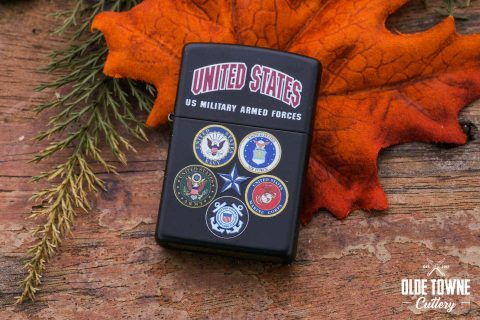 This Zippo lighter features the US Military Armed Forces. 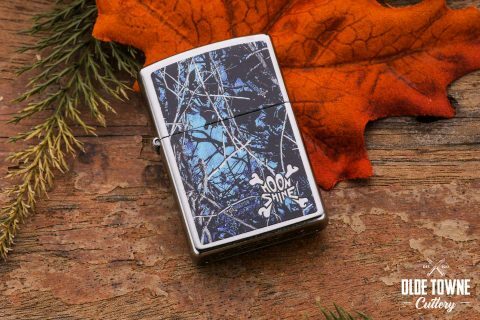 This Zippo lighter features a moon shine undertow camo pattern. 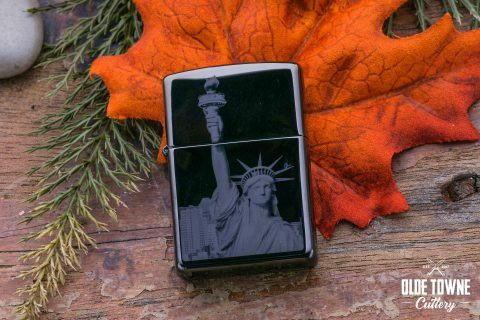 This Zippo lighter features the Statue of Liberty etched onto the lighter. 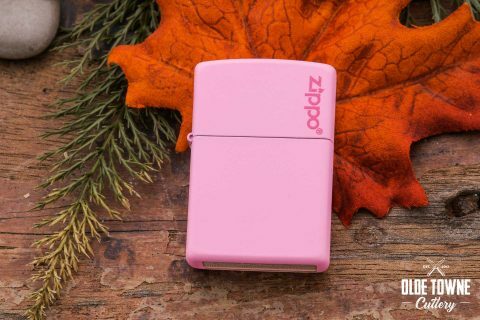 This Zippo lighter features a pink matte finish and the zippo logo on the lid. 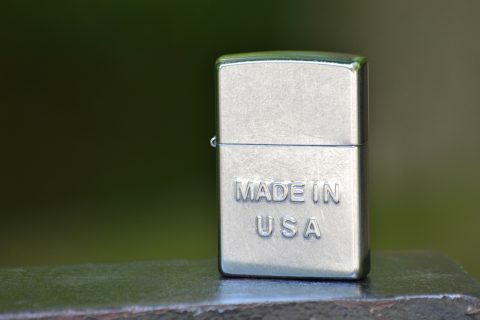 Zippo Made in USA, matte Chrome. 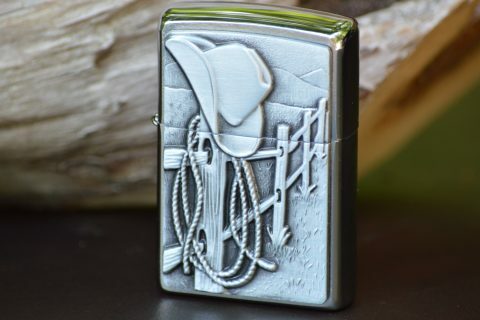 Zippo. Intricate Scroll design, high polish Chrome. 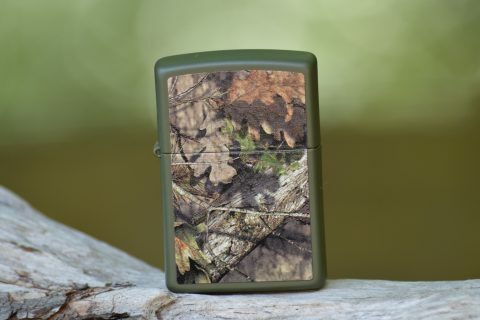 Break-up Camouflage, green matte finish. 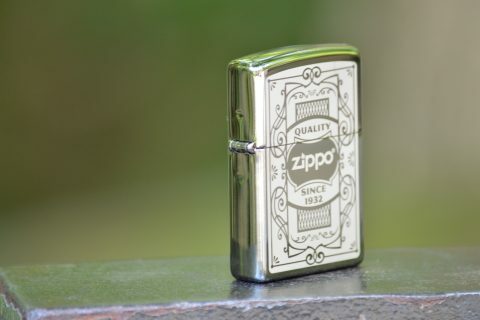 Zippo, 3-D, high polish Chrome. Intricate Scroll design, high polish Chrome.